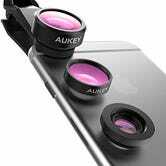 Unlike smartphone lens add-ons that require a special case or a specific phone model, Aukey’s 3-in-1 kit uses a clamp to attach to your device, which means it should work with virtually any smartphone. 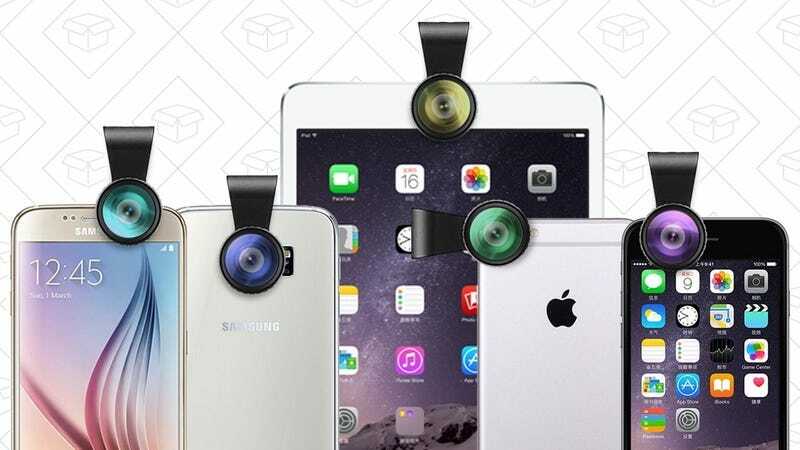 Once that clip’s in place, you get to choose from three different lenses: Fisheye, wide angle, and macro. Several of Amazon reviewers have uploaded sample photos and videos, and they look pretty great to my eyes, particularly the close-up macros.